How Leverage Works in Trading Future Contracts? Leverage is, basically, a double-edged sword. We have little money, but we want to make as much as possible, as soon as possible. We always see the positive side of making as much as possible, but we don’t see the flip side of it – you can lose a lot of money. Lose everything in a short period of time. So, leverage is something that may kill you and it may also definitely help you. So, we need to know how to work on the leverage. For example, let’s say you have RM5,000 capital. If you trade FKLI – FKLI is basically the KL Composite Index Futures – let’s say the FKLI is now at 1,700 points, I’m just rounding up the figures. In FKLI, 1 point is equivalent to RM50. That means if you are trading one contract at 1,700 points. The contract value is RM85,000. You only have RM5,000 as capital, but you’ll be trading RM85,000 worth of Futures Contract. So, here you have seventeen times leverage. Leverage means if the index, say, the FKLI moves 1%, then your capital will move about 17% – seventeen times. Now, you long one contract. In Future Contracts, when you’re long it means you are buying because you are expecting the price to go up. And you long one FKLI contract at 1,700 points. Then, the FKLI declined 50 points to 1,650 points. That means you’re going to lose 50 points. If you take 50 points and you multiply by 50, you’re, basically going to lose RM2,500. RM2,500 from RM5,000 capital, that’s 50% of your capital. So, if the index moves against you 50 points, you lose half of the capital. Now, if you have RM20,000 as capital and you’ll be trading one futures contract. This will give you about four times leverage if you long one futures contract at 1,700 points. Now, again, the FKLI declined 50 points, you are still going to lose RM2,500, but because your capital is RM20,000, that’s going to be only 12.5% of your trading capital. So, the more capital that you put in, the lower leverage you’re going to have. I’m sure that most traders would like to have as high leverage as possible because they want to make as much money as possible. But, you also have to consider the downside of it. So, the key here is to finalize the leverage that you can manage, that you are able to absorb, that you are able to comprehend. So, if you think that you don’t want to have very high volatility on your capital, then you should be trading at lower leverage. By that it means you have to increase your trading capital. Don’t just try to get the highest leverage as possible especially if you’re a beginner, because leverage, if you do not know how to manage it, can burst your account. If you really know how to manage it properly, it can help you to increase your capital as much as possible in a short period of time. 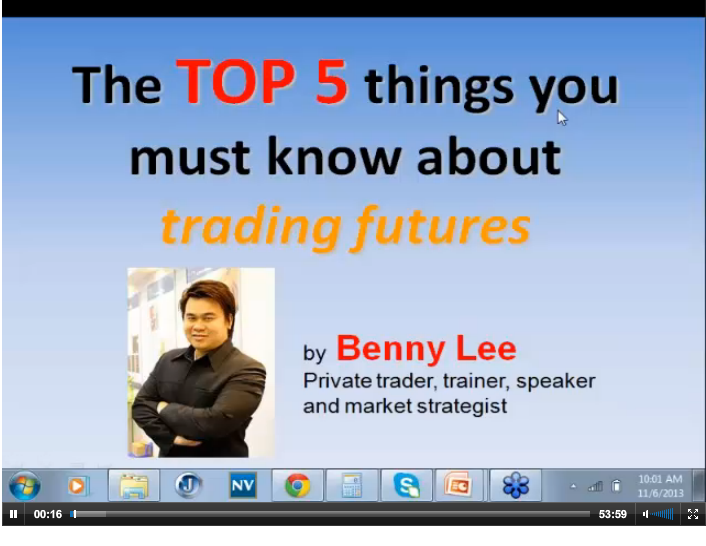 So, that’s the first thing that you must know about Futures trading. It’s about managing leverage. « Previous Post Get Paid for Selling Solar Energy Back to TNB Next Post » When It Comes to Business Surveys, Some Entrepreneurs Just Got It Wrong!